Check out this Lightsaber gif that Sam Toffler (MPS Consultant) created with Adobe Illustrator. Want to learn how to use Adobe Software, check out tutorials available in the lynda.com online training library. Changing an image’s dimensions affects its onscreen size and its printed image quality. How can you change the dimensions of an image? Follow the steps below to learn how to properly adjust the size of an image using Adobe Photoshop. Select “Constrain Proportions” to maintain the ratio of pixel with do pixel height. Selecting this option will automatically update either the width or the height when the other is changed. Enter values for Width and Height under “Pixel Dimensions” (to enter values as percentages of the current dimensions, choose “Percent” as the unit of measurement. The new file size of the image will be at the top of the “Image Size” dialog box. The old file size will be in parentheses. Select the “Resample Image” option, and choose an interpolation method (read below). 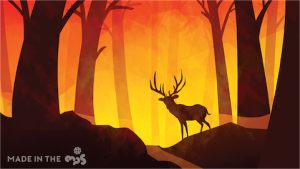 If the image has layers with styles applied to them, select “Scale Styles” to scale the effects in the resized image. You must select “Constrain Proportions” in order to use this option. Click “OK” when you finish setting the options. What Resampling method should I use? Resampling refers to the process of changing the amount of image data when you change either the pixel dimensions or the resolution of an image. “Downsampling” means decreasing the number of pixels, or deleting information from the image. 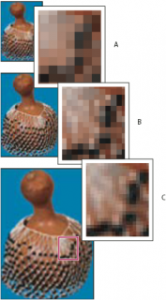 “Upsampling” means increasing the number of pixels, or adding pixels to the image. In order to do this using Photoshop, you must first specify an “interpolation”, or method for determining how pixels are added or deleted. Replicates pixels in an image. 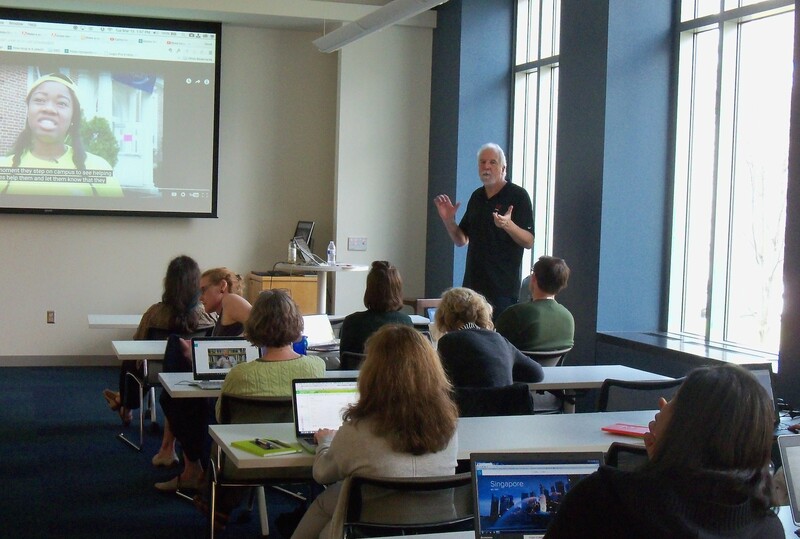 Miss the recent Adobe Digital Storytelling sessions? Watch a recording of one of the sessions. Note: You may be prompted to update your MS Silverlight to view the recording. If you were a part of this training, we’d love to see example of what you created. Email oit-training@duke.edu to share your story! 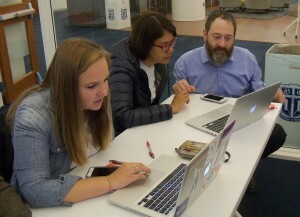 Ben Forta, author & Senior Director of Education Initiatives (Adobe), working with session participants! 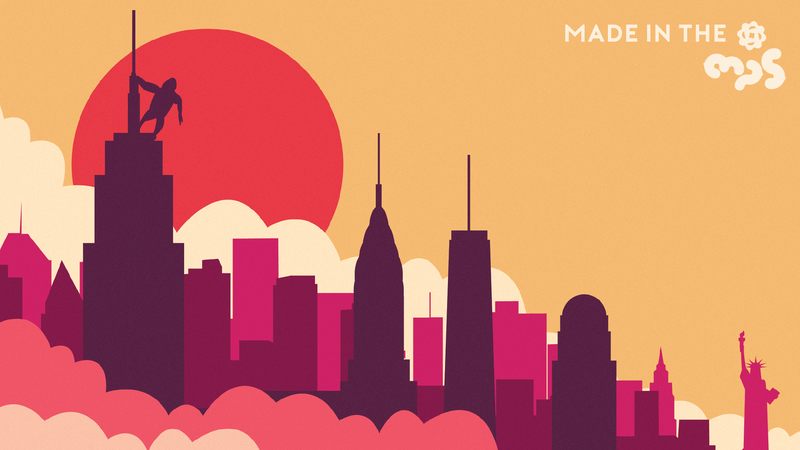 Miss today’s Adobe Digital Storytelling Event? 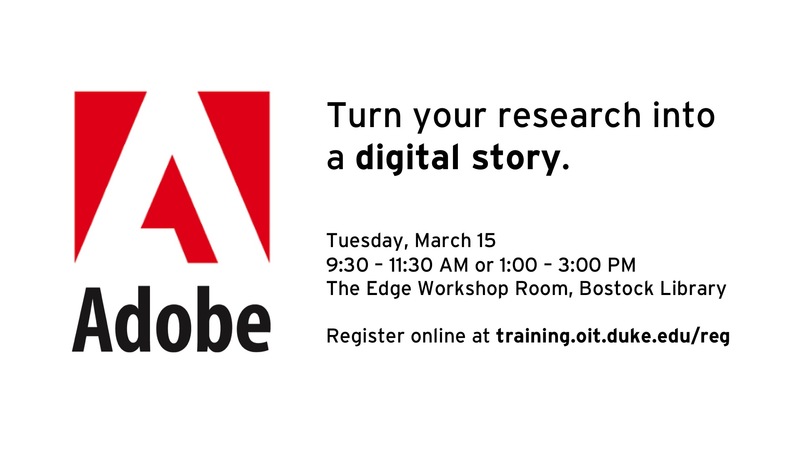 Adobe will be back on Tuesday, April 5 to run 2 more “Turn your Research into Digital Stories” sessions (morning: 9:30-11:30 a.m. or afternoon: 1:00-3:00 p.m.). Register online for the session that best suits your schedule while seats are still available! Steve Adler, Senior Solutions Consultant (Adobe), sharing some cool examples! Dorothy Feng (MPS Digital Artist in Residence) used Adobe Illustrator for design and then used Photoshop for color correction. Try out Adobe at the Multimedia Project Studio or download and try it yourself with Duke’s Adobe Enterprise Term License Agreement. Adobe Digital Storytelling Event – Additional date added! 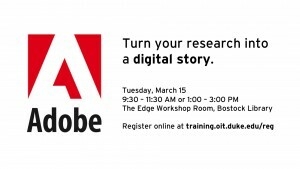 Due to the popularity of the upcoming Digital Storytelling event being held on March 15, Adobe will be on site for an additional date – April 5. Register for the session that best fits your schedule while seats are available! Waitlists are being maintained. Digital Storytelling is an emerging instructional & marketing strategy. 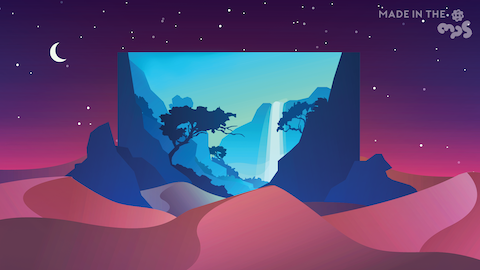 Join Adobe to learn how to tell very compelling stories in a rich and visually appealing format using 3 intuitive Adobe mobile/web applications (Premiere Clip, Slate & Voice). Bring a laptop, Android Device, iPhone or iPad with you and you may walk out of the session with a great story to tell! NOTE: The tools being used in this seminar must be accessed with an Adobe ID created with a non-Duke email address as these mobile apps do not currently support Enterprise ID’s (this will happen in May). Go here to create an account: accounts.adobe.com You will have access to these tools after the session. 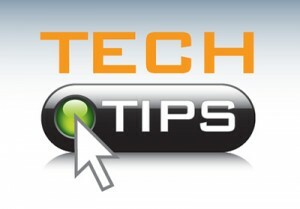 You are encouraged to pick a topic and collect content (images, videos, etc) on whatever device you are bringing. Suggested topics will be included in your confirmation and reminder notes. Celebrate the Chinese New Year with Dorothy Feng’s (MPS Digital Artist in Residence) rendition of the ‘Year of the Monkey’. She used Adobe Illustrator for design and then used Photoshop for color correction.